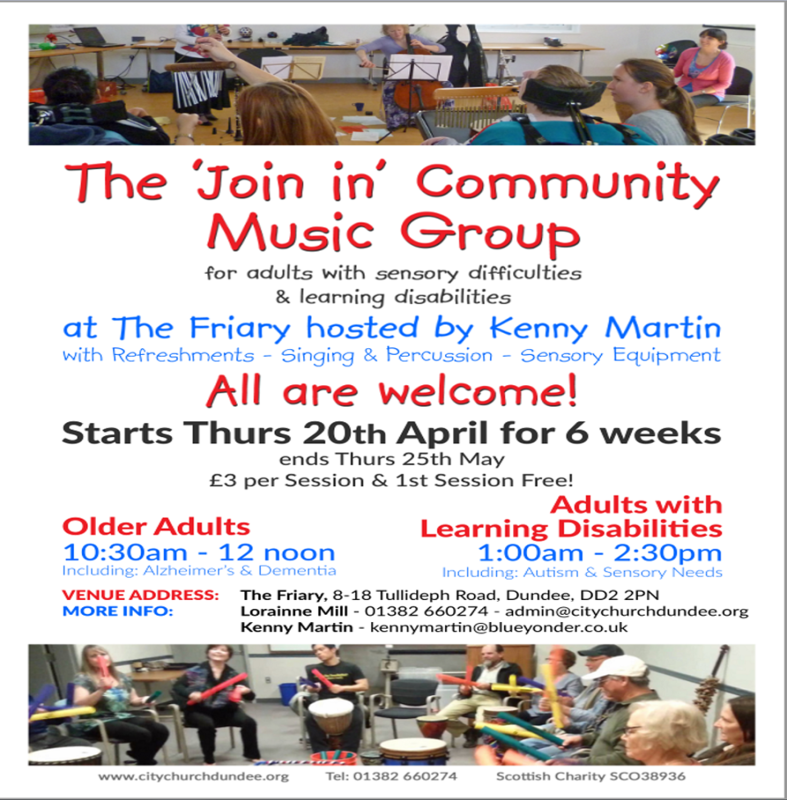 A new music group for adults with learning disabilities. Contact t: 01382 660274 or email admin@citychurchdundee.org. The group is held at the Friary, Dundee and for people with learning disabilities it is 1-2.30pm from Thursday 20th April.